Hickory Contract approached us with a unique need. As a contract furniture company, they wanted to display their catalog of products with the ability to filter by furniture type or by furniture collection. 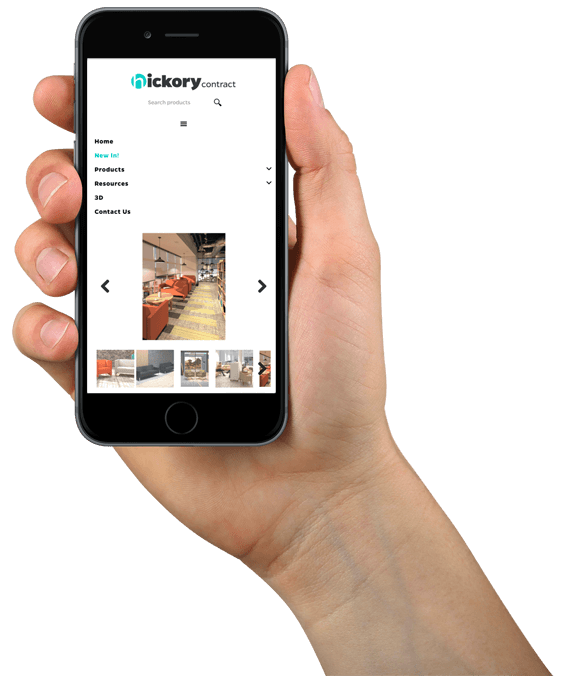 Looking for a new modern feel, Hickory Contract provided us with a design guide to use in the development of their new mobile responsive website. The goal of the new website was to refresh the look, reorganize hundreds of products into one easy to use filtering system and provide useful information for customers. 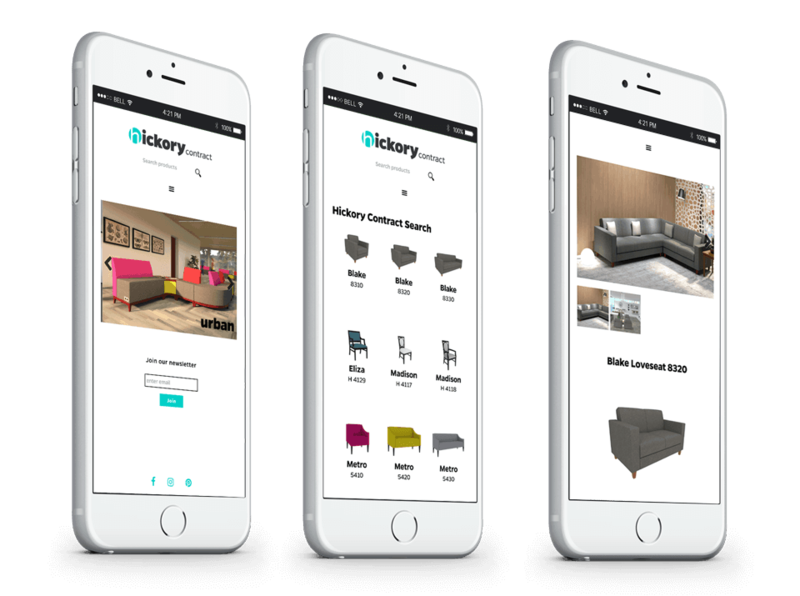 The new Hickory Contract website features a simple way to navigate through the vast array of furniture products. Items are better organized and easy for the user to find. Similar items from the same product collection are featured alongside each product as well as beautifully rendered application shots, giving the user an idea of product placement. Product filtering was included in the development of the new Hickory Contract website in order to enable product search by a variety of criteria. The new attractive and classy design coupled with the seamless functionality provides users with a smooth and pleasant experience.